The Philadelphia Phillies just can’t stop adding hitters for the stretch run. On Tuesday, they added one more, acquiring Jose Bautista from the New York Mets. Bautista figures to be primarily used off the bench. However, he still has some power, and as we all know, he has shown a flair for the dramatic in the postseason, which is where the Phillies are trying to get to. 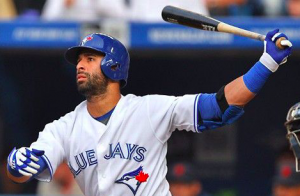 The Phillies claimed Bautista on waivers on Monday, just a few days before the waiver trade deadline. The two teams were then able to work out a trade to get Bautista to Philadelphia. The Mets will receive either cash or a player to be named as part of the trade. Going back to July, Bautista is the fourth noteworthy offensive player the Phillies have acquired via trade. The club has also acquired Asdrubal Cabrera from the Mets, Wilson Ramos from the Rays, and Justin Bour from the Marlins. Those trades have added several veteran hitters to a team that’s otherwise largely composed of younger players. Unfortunately for the Phillies, Bour went on the DL last with an oblique strain, perhaps creating more of a need for a player like Bautista on the team’s bench. The Phillies are actually Bautista’s third team this season, all of which play in the NL East. He spent a couple weeks with the Braves early in May without much success. After being released, the Mets picked him up and gave him an opportunity to play with regularity. Bautista hit .204 with nine home runs and an OPS of .718 during his time with the Mets. However, those numbers have been a little skewed by a recent slump. Bautista hit the ground running after going to the Mets, and the Phillies are hopeful for similar results now that he’s in a pennant chase. A recent losing skid has dropped the Phillies 3.5 games behind the Braves in the NL East. They are also 2.5 games outside of a wild-card spot. The team knows that every win counts this time of year. If Bautista can play a role in helping the Phillies win an extra game or two, the move will be well worth it. While they have mostly added hitters via trades and waiver claims, the Phillies remain open to boosting their pitching staff as well. Teams have until the end of the day Friday to add players if they want them to be eligible for the postseason. Based on how busy the Phillies have been, it’s hard to rule out the club making another waiver trade. In the end, adding Bautista figures to be a minor move compared to trading for Cabrera or Ramos earlier in the year. However, adding a veteran with playoff experience rarely hurts teams that are chasing a playoff birth. In that sense, this is a nice pickup for the Phillies with September around the corner.